Holiday Side Dishes are some of the most anticipated meals that everybody expects to see on every Thanksgiving, Christmas, New Year’s Eve, or any holiday table. You can’t get away with just a beautiful and impressive main dish or a great dessert – you’ve got to have some pretty amazing and delicious side dishes, too, and the more of them, the better! This post combines some of the most beautiful, sophisticated, yet easy holiday side dish recipes. Some of them are traditional, some of them are not so, but I am sure you will like them all! 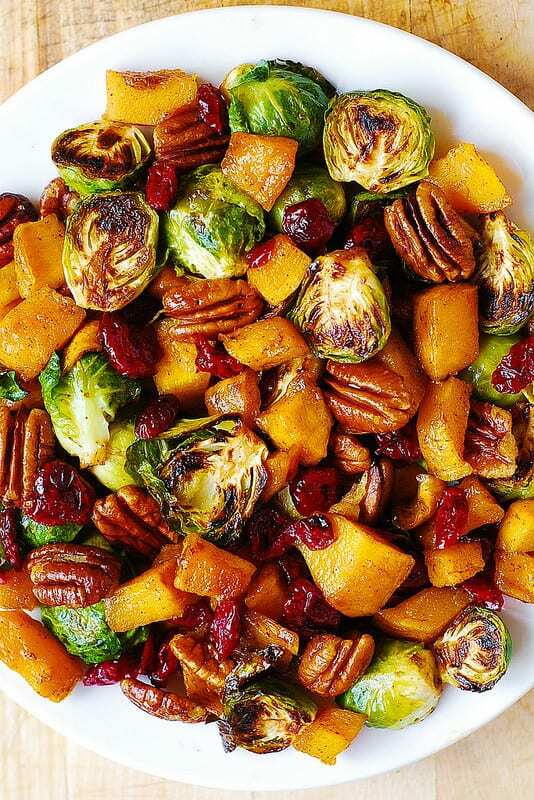 This round-up has everything: potatoes, butternut squash, green beans, brussels sprouts, sweet potatoes, and more! Something for everyone! 2. Dijon Mustard Brussels Sprouts with Bacon, Apples, and Gorgonzola cheese – this holiday recipe is very savory, with lots of rich flavors combined together to create an absolutely astonishing Christmas or New Year’s Eve side dish! Try it and you’ll love it! 3. 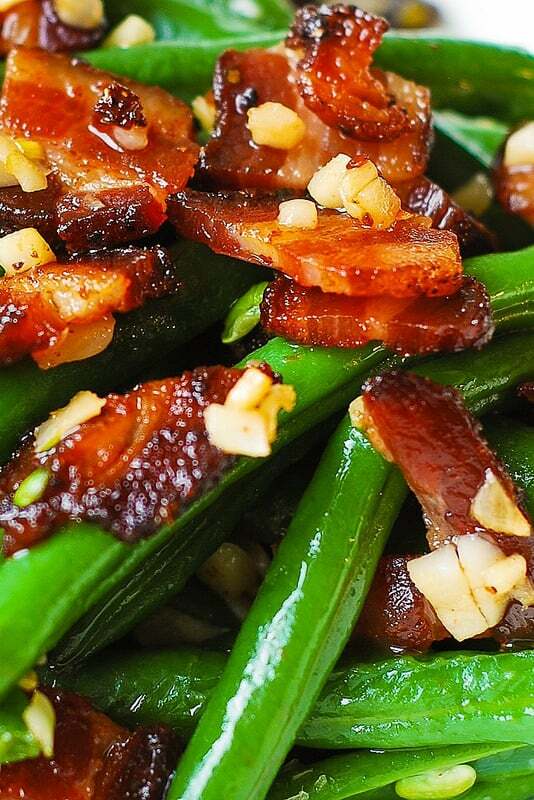 Garlic and Bacon Green Beans – traditional holiday green beans but with lots of garlic and bacon. Also, this recipe is super easy! 4. 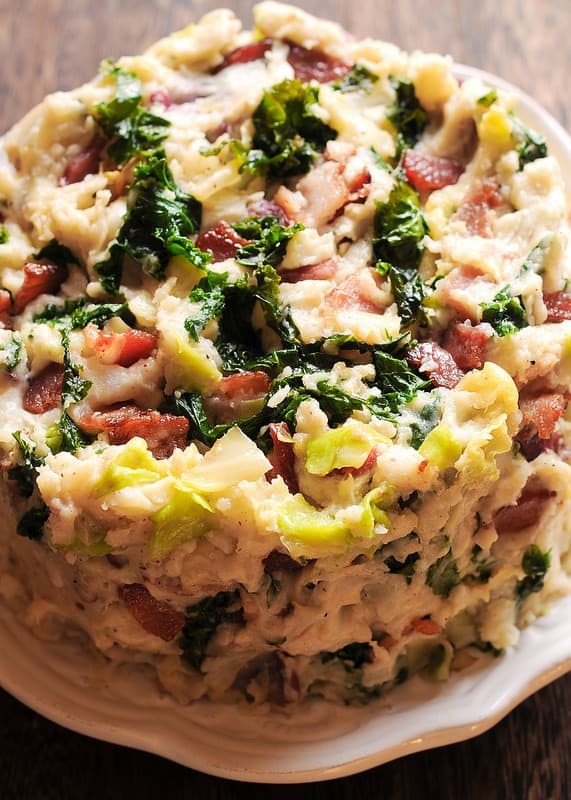 Irish Mashed Potatoes with Bacon (Colcannon). This version of a traditional Irish dish brings together four of the most amazing ingredients – potatoes, cabbage, kale and bacon. 5. Do you like pumpkin nuts? 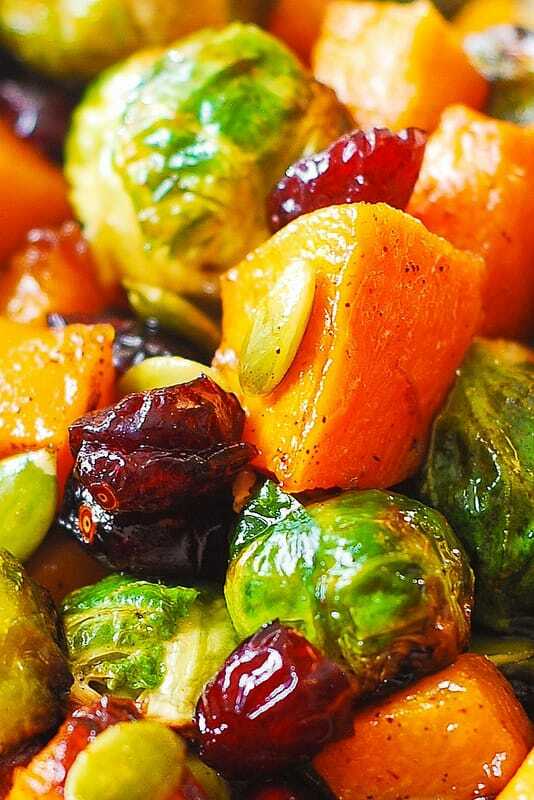 Then, you’ll love this recipe: Maple Butternut Squash, Roasted Brussels Sprouts, Pumpkin Seeds, and Cranberries. 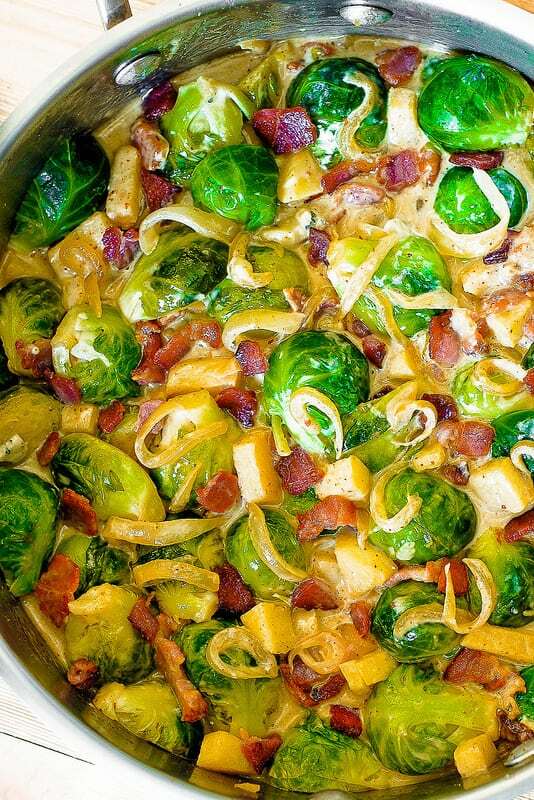 This is a great Thanksgiving or Christmas side dish. Lots of vegetables and healthy ingredients. 6. Cheddar, Thyme and Beer Potatoes Au Gratin – these cheesy scalloped potatoes are really delicious, with so many flavors: thyme, beer, cheddar cheese. YUM! 7. 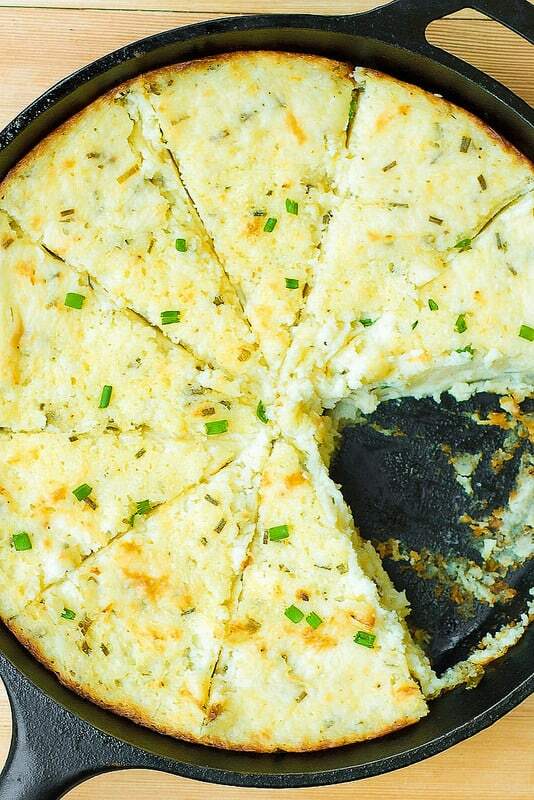 Buttery Mashed Potato Pie with Herb and Garlic Cream Cheese – this is just pure comfort food. 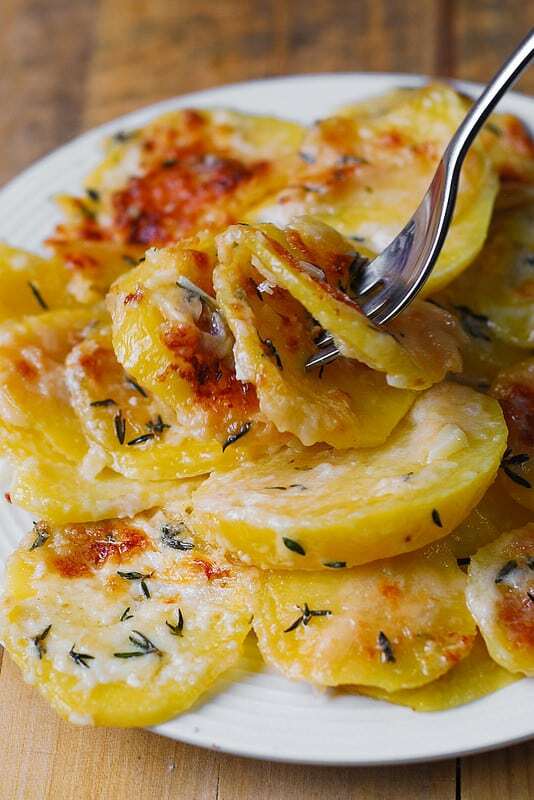 Potato side dishes are a must for holidays, and this is definitely one of my favorites! 8. 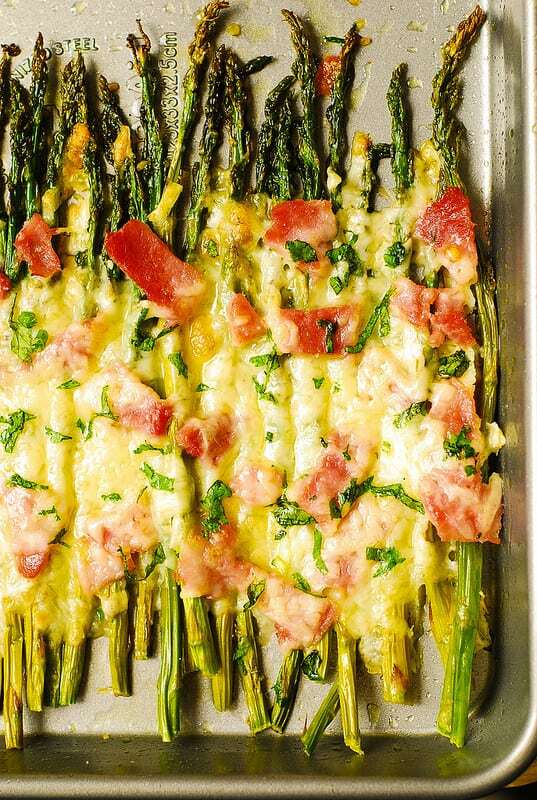 Ham and Cheese Asparagus – easy recipe! Just throw everything together on a sheet pan and roast in the oven! This dish is a time saver! 9. 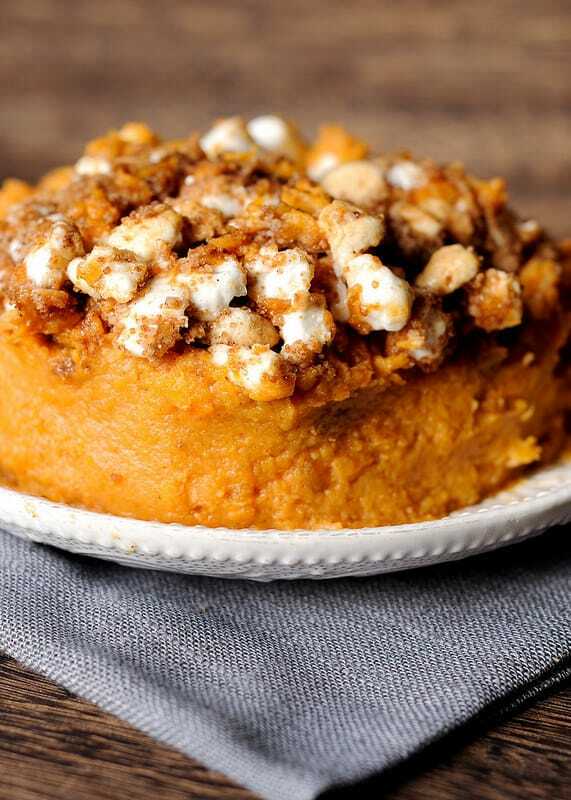 Sweet Potato Casserole with Marshmallows and Cinnamon Streusel – sweet potatoes are a must for any Thanksgiving or Christmas menu. These are some of the best sweet potatoes you’ll ever taste! 10. Easy Scalloped Potatoes with Parmesan, Garlic, and Thyme – this is one of my favorite holiday potato side dishes! 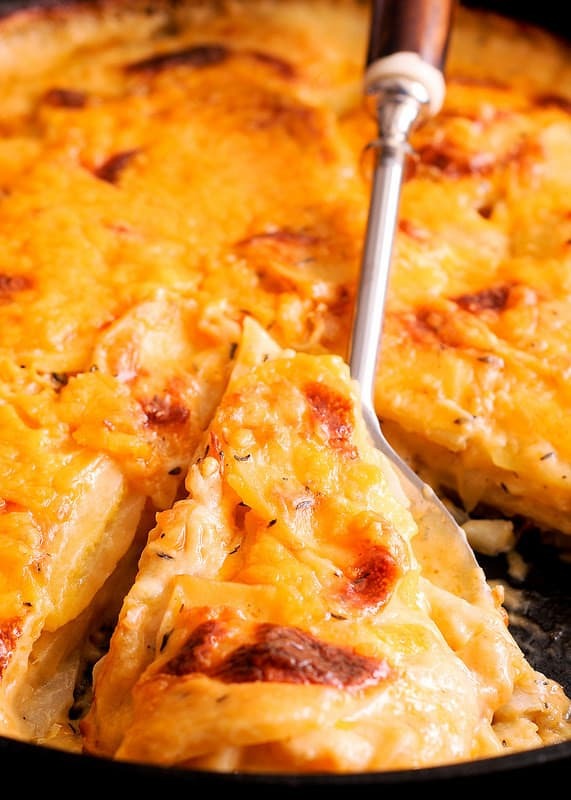 These scalloped potatoes are the easiest you’ll ever make! All you do is pile all the ingredients together in a casserole dish and bake it! This scalloped potato recipe has no Cheddar cheese – only Parmesan. Also, lots of thyme and garlic.